As architecture evolves, so do tastes in the Orlando market. 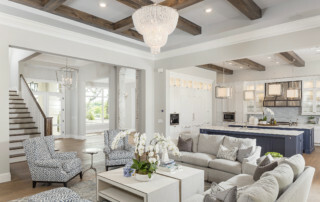 Although Cam Bradford Homes has traditionally built mostly Florida style and transitional homes, we are actively undertaking many new projects that reflect cutting edge innovate designs. These are just a few of our modern designs currently under construction in Windermere. This custom home in Windermere was built with a nod to the old Yellowstone National Park Lodges. With rustic wood paneling on accent walls, rustic food flooring, antler chandelier and custom barrel vanity, this house contains both class and comfort. 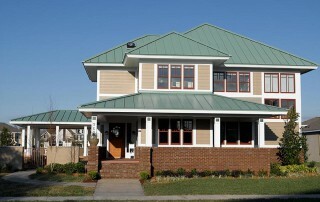 This custom home on Lake Hart in Moss Park offers modern conveniences but still honors the spirit of old India. With marble floors, glass railings and integration of smart technology, this house offers a blending of culture and contemporary design. Located in on Lake Sybelia in Maitland, this stunning lakefront home sits on a spacious lot just minutes from downtown Winter Park. Winner of a first place award for Custom Homes in the 2017 Parade of Homes, this house offers luxury, location, and limitless possibilities. Located on desirable Lake Butler in Windermere, Florida, this stunning modern home boasts high end finishes and inscrutable style. With LED mood lighting throughout and tastefully selected fixtures, you feel like you are walking through a magazine. Soak in the freestanding tub, sparkling pool or enjoy soaking up the sun on the dock. 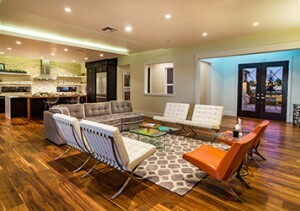 However you choose to relax, this home can accommodate. Located in our community of Sawyer Sound Windermere, this house offers a pass through view from the front door, past the pool, and out over the lake. With sliding glass panels, the entire wall of the house opens out to nature and you can let the breeze flow right through the house. Both the lower lanai and upper porch feature roll screens to keep out pesky bugs. The house includes a wired speaker system, a hidden pantry, a wine room, 5 bedrooms, 7 bathrooms, and a media room with a view out to the lake. This modern lakefront home is located near Lake Nona on Lake Hart and allows easy access to Medical City. The design of this house embodies the new direction this area has taken in becoming a modern medical mecca in the Orlando area. 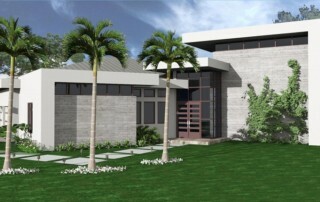 The house includes an open floor plan, large folding glass doors to let the Florida weather in on nice days, a view through fireplace, sleek cabinetry, a sauna, a gym, a stunning pool with lakefront view, and much more. This lovely craftsman house features many artisan details like wood in wood floor inlays, build-in cabinetry, multi-use spaces like booth seating in a breakfast nook, casual dining space, and warm tones throughout the house. The house also boasts a metal roof, atrium for enjoying the Florida sunshine, and grided windows details that harken back to an art deco appreciation for decorative touches in everyday architecture. 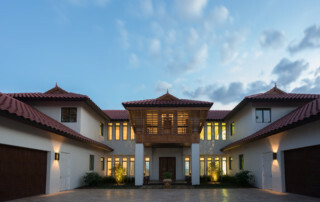 This beautiful Mediterranean styled home on Lake Hancock was built as a showcase model for the Summerlake community in 2013. The house featured a grand staircase of handscraped mahogany, rich travertine floor tiles downstairs and warm wood flooring upstairs. The grand entry and foyer was expansive and absolutely stunning when viewed from the gallery above. This house featured a Juliet balcony as well as several functional balconies with decorative railings. 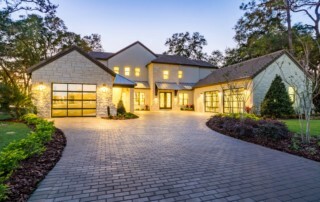 This Italian-inspired home allows you to feel like you are on vacation abroad while still conveniently located in Winter Park, Florida. With artisan stonework, a rotunda entry, bracketed eaves, and a warm color scheme, this house provides a Tuscan getaway everyday.